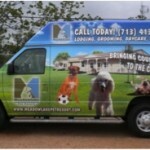 Meadowlake Pet Resort is now offering van pick up and drop of for their Doggie Daycare clients for just $1.00 per mile*. 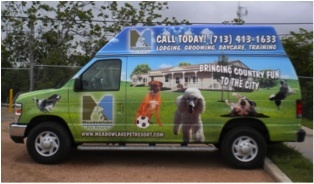 Meadowlake can pick up your dog between 6:30 am – 8:00 am and drop off between 5:30 pm – 7:00 pm. Reservations must be made 24 hours in advance for this service, and is available Monday through Friday. *A surcharge applies for clients living outside a 10 mile radius from Meadowlake Pet Resort.